In this episode Luke Lohr and Pedro Gomes to sit down and examine the impact that the 20th MLS team will have on the NASL's New York Cosmos, the results of the Open Cup and where each league stands in the tournament. 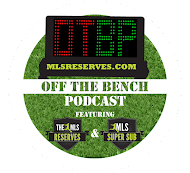 Josh Hakala of TheCup.us steps in to shed light on the Open Cup's best talking points and Garth Lagerwey, General Manager of Real Salt Lake, joins to talk about the possibility of an RSL branded team competing in USL PRO. Off The Bench: Best when shared. Your video today comes courtesy of Greg Lalas and MLSSoccer.com. Anatomy of a Goal shows Diego Fagundez playing wise beyond his years. Impressive.